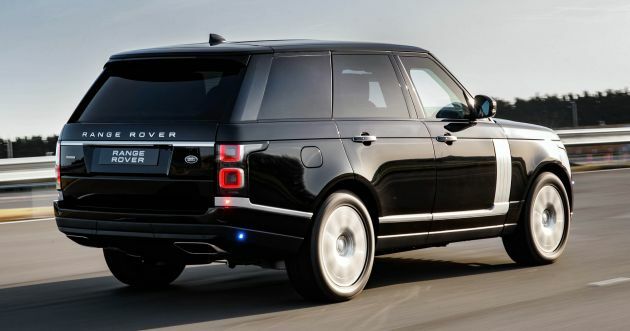 Land Rover, through its Special Vehicle Operations (SVO) division, has revealed the new Range Rover Sentinel. 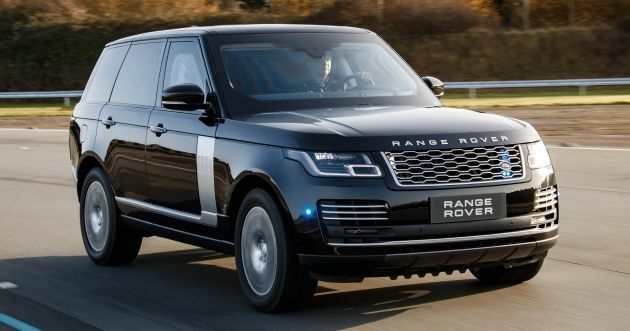 Essentially an armoured version of the latest Range Rover, its maker describes the Sentinel as a “mobile fortress” and that isn’t just some marketing fluff either. The styling, as you can see, is as reserved as they come, with not a whole lot to distinguish the Sentinel from a run-of-the-mill Range Rover. This isn’t a bad thing because subtlety is certainly welcomed by the wealthy or important people that will be chauffeured inside. Of course, if you do want to attract attention to yourself, SVO offers optional siren and emergency lighting packs. While the Sentinel’s appearance is unassuming, it is well equipped to deal with a variety of threats. The core feature here is a protection cell with armoured glass, as well as roof and underfloor blast protection, which are designed to meet the stringent whole vehicle standards of VPAM BRV 2009 VR8, PAS 300 and ERV 2010. Put simply, 7.62 mm and 20 mm FSP rounds won’t be an issue, and the Sentinel will withstand a blast of 15 kg of TNT from a distance of two metres. To counter more crafty baddies who use improvised explosive devices (IED), the Sentinel has been tested to STANAG 4569, one of the most stringent vehicle armour test protocols. It sounds complicated but the company says the vehicle won’t be compromised even when a powerful mine positioned to the side of the vehicle and from behind the front wheel is detonated. Occupants and potential buyers will be glad to know that SVO didn’t skimp on the luxuries as the cabin still comes with fine leathers, rich veneers and all sorts of fancy materials you might expect from a Range Rover. The idea is even though hell might be raining on your vehicle from the outside, you’re still in your little slice of heaven. Of course, when things do get really bad and you want out, there’s an emergency escape system located in the rear luggage compartment so you can exit the vehicle, even if the doors are unusable. Other security systems offered include a specially configured front window which drops a maximum of 150 mm for document delivery, but items from McDelivery might be a tight fit, while a public address system lets you communicate with people outside the vehicle without leaving safety. All these features do add weight, as the armour plate and glass are said to contribute well over a tonne to the standard Range Rover’s weight. Where the previous Sentinel packed a 340 PS 3.0 litre supercharged V6, the new one swaps that out for a 380 PS 5.0 litre supercharged V8 instead. Don’t expect mind-boggling performance though, because the 0-100 km/h sprint takes 10.4 seconds and it’ll top out at 193 km/h. The added weight also required SVO to upgrade the SUV’s suspension, brakes and chassis in order to support its 4.4 tonne weight. This allows the Sentinel to deliver “unparalleled” off-road ability, including a water wade depth of up to 850 mm. There’s also special run-flat tyres in case those are targeted, tested for distances up to 50 km at 80km/h. 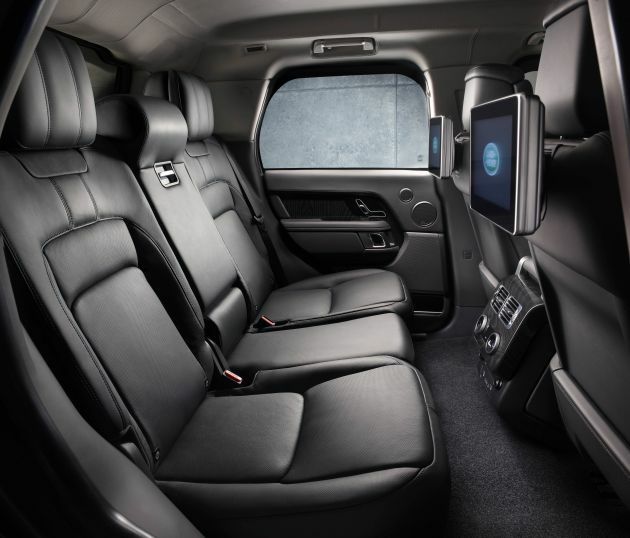 The post Range Rover Sentinel – your personal mobile fortress appeared first on Paul Tan's Automotive News. 0 Response to "Range Rover Sentinel – your personal mobile fortress"